I read this one non stop--the action is incredible--I could actually visualize what was going on even though it got very gruesome at times. This author knows how to make those scenes come to life! This could and probably should be made into an action thriller in my opinion! This book ends with our hero deciding how he is going to exonerate himself--which means--another book I just have to read! Desperate to prove his innocence, Kaine is forced to rely on two women he hardly knows: one, a country vet who treats his wounds, the other an IT expert with a secret of her own. Battling overwhelming guilt, life-threatening injuries, and his own moral code, Kaine hunts the people who turned him into a mass-murderer. Can Kaine’s combat skills, instincts, and new-found allies lead him to the truth and redemption? 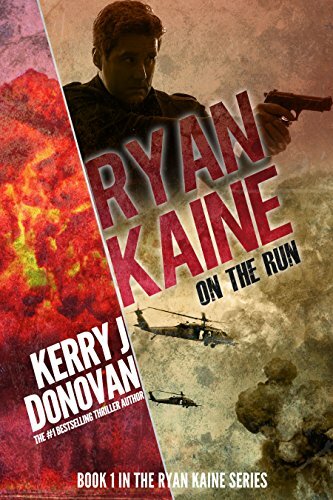 From the pen of Kerry J Donovan, Ryan Kaine: On the Run, is a powerful, action-packed novel set against the backdrop of the international arms trade. The first in the new thriller series, Ryan Kaine, is a new addition to the great military action characters in the tradition of Lee Child, Mark Dawson, and Matt Rogers. 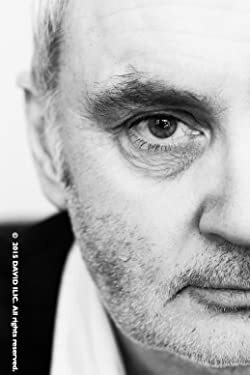 #1 International bestseller with his adventure story, On Lucky Shores, Kerry J Donovan was born in Dublin. A citizen of the world, he now lives in the heart of rural Brittany with his wonderful and patient wife, Jan. They have three children and four grandchildren (so far), all of whom live in England. An absentee granddad, Kerry is hugely grateful for the development of video calling. This looks like a great beach read! Action novels are especially great for helping you to escape real life for a little while. I love Die Hard movies myself. I wish I had more free time to watch them.